Veteran blogger and radio host Mark Lopez showed compassion for farmers and workers of Hacienda Luisita after he learned that those workers received P9.00 salary for 15 days of working inside the controversial Hacienda Luisita. 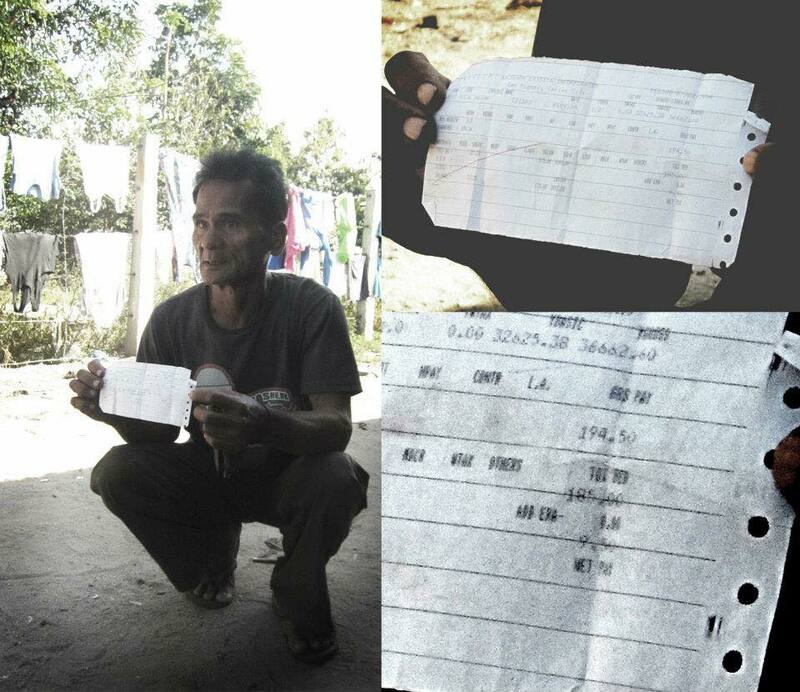 In a viral post shared by Unyon ng mga Mangagawa sa Agrikultura, they revealed that the farm workers of Hacienda Luisita hold their payslips proving that they only received P9.00 on their 15 days of service with the said Hacienda. Mark Lopez shared the said viral post which already went viral on social media after it was posted last March 6, 2018. In the post of Mark Lopez he asked his supporters whether they have any ideas with the people or families who owned and managed the said Hacienda Luisita. One of those who managed the said Hacienda is a former President who made some statements earlier about Honesty. The other member of the family is a close relative of the former President on his father side and he is now running for a senate seat. He is also known as one of the credit-grabbing politician in the history of the Philippines. Kilala nyo ang pamilya na may ari ng Hacienda Luisita? Isa jan dating presidente na ngayon eh kung magmalinis sa kampanya akala mo napaka honest at matuwid. Yung isa naman, kamag anak nung presidente sa father side nya, na ngayon naman ay kandidato sa pagka senador. Ito ung mahilig mag credit grab so dapat pasalamatan natin sya ngayon dahil sa pang aabuso nila sa mga magsasaka. Tandaan nyo din yung mga kaalyado nitong mga ito ha, lalu na yung mga kandidato nila na puro mga ipokrito.